The selection is done by holding down the mouse button while moving the cursor over the data you want to select. You can select either columns or ranges. 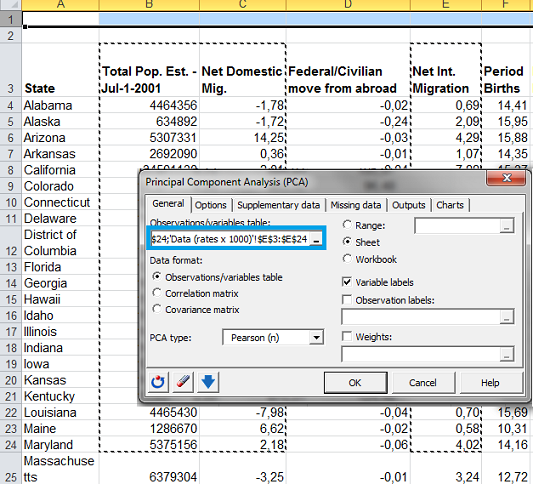 Note that it is possible to take non-adjacent data. 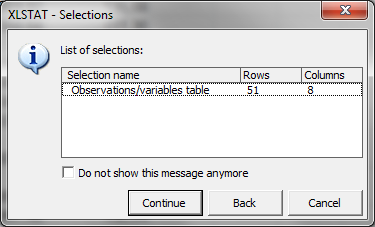 If you do not, you may get an error when proceeding to the calculations if the values are non numerical. You can also define the observations/units/cases labels; tick the Observation labels option and click on the range selector to select them. Then you should go through the other tabs and select the desired options. 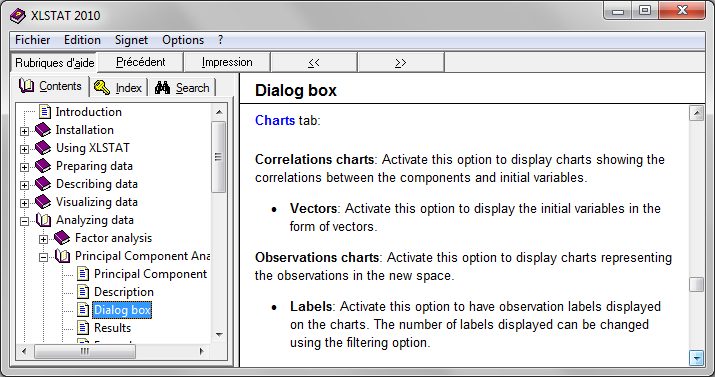 Pay special attention to the tabs Outputs and Charts, as they are used to select which results should be displayed. Do not hesitate to click the Help button to get information about the different options. Once you have pressed Help, the documentation will open in the chapter of the analysis you were running. Go to the Dialog box section, where all the available options are explained.